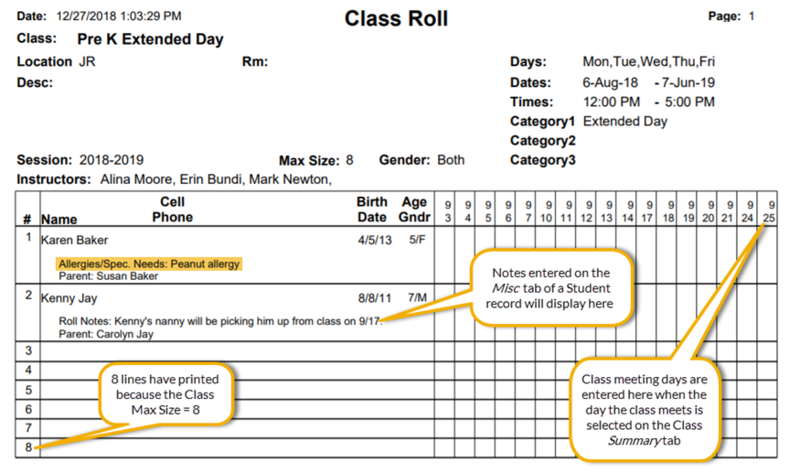 The Class Roll report displays information for students enrolled in a selected class or classes and is generally used when taking class attendance manually, when the Clock feature is not being used. The report can be generated using the Class Roll button in the Class record for an individual class, or from the Classes menu where you can use search criteria to select a group of classes to run the report for. Display settings allow you to choose which student and family information you want included on the rolls, for example, allergies and special needs .